I have here before me an album originally released in 2002, then re-released in 2013 with a bonus DVD of live performances taken from a 2006 TV performance and elsewhere, and now being given distribution by those eclectic Italian souls at AltrOck. 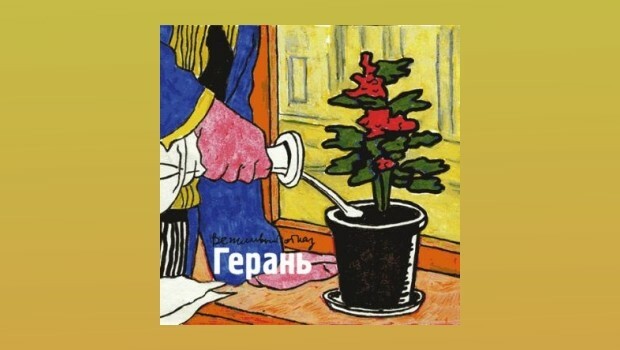 Geranium is by Vezhlivy Otkaz, who is not a person as I first assumed but a group of Russian iconoclasts whose name translates as “Polite Refusal”. 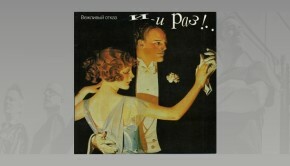 The PR sheet claims they are “one of the most original and erratic rock bands in Russia”, an odd recommendation to say the least, and that they are a band that started in 1985 as a reggae/ska outfit that subsequently progressed through all manner of stylistic shifts including Russian traditional folk and free jazz. You might then begin to understand why I was confused to such an extent that I have put off penning this review for some time! Firstly, a word about the high quality of the packaging: the CD and DVD are housed in a three panel digibook, held within a not insubstantial open box. Slotted into the first panel is a folded multi-page sheet of info, half in Russian, half in English, giving as much detail as you could possibly wish for about this obscure album. The English translation has an impenetrably dense feel to it, as anyone even vaguely familiar with English translations of Russian classic novels will recognise. Since forming in 1985 Vezhlivy Otkaz have released eight albums, Geranium being the seventh, with Geese And Swans being their latest back in 2010. It is apparent from the lengthy text that there is much in depth analysis of this band back home, particularly where the lyrics are concerned. The text includes a discussion between lyricist Grigory Dashevsky and a previous occupant of the resident poet position Arkady Semenov. The discussion is a lengthy intellectual dissecting of Dashevsky’s lyrics to Closet, a song that seems to me to be about a man unable to make a proposal to his girl without feeling comfortable in the right suit and at the right time. According to the notes Dashevsky’s lyrics to Closet and Pizza “left a large proportion of the public perplexed to say the least”. They take these things rather seriously in the Motherland it seems. This rarefied brainiac atmosphere is thankfully lost in translation, for following a lyric sung in Russian while reading the English translation is not the most natural way to appreciate any piece of music. This has the outcome that this mere intellectual peasant can enjoy the music for what it is, which is an odd but charming collision between traditional and modern jazz and Russian ethnic folk, with an avant instinct at its heart. Imagine a Dixieland jazz band that evolved in isolation in an art loft in Moscow in 1923, then suddenly being transported to the 21st century and you might be a fraction of the way there. The music is complicated, you wouldn’t expect anything else, with complex time signatures and precisely, almost mathematically interwoven ensemble playing. Looser jazz blowing, but not what I would call “free jazz” shows up in On the move!, and the following Closet weaves the folk influence seamlessly into the fabric. On Marina And A Bear some contrapuntal ultra –fast picking of acoustic guitar and bass cleverly rub shoulders with a juxtaposing languid beat, eventually joined by the sax, and some fine top line from the trumpet. The tune is a quite dizzying construct when you pick it apart, but as a complete entity it has a lightness of touch that prevents it giving the impression of being difficult for its own sake, although it does seem a little arid in places. Much the same can be said of the entire album, and this applies as much to the slower songs that counter the allegrissimo elsewhere. The ballad To Writer is a case in point, a wistful tribute to Leo Tolstoy with typically slightly surreal lyrics, alluding to his flight from his eventual executors. The DVD features three sets; the first from a TV show in 2006, the second is a set from Mayakovsky State Museum from 1998, and lastly a set from the Bednye Lyudi Club from 1999, all featuring songs from Geranium. The TV set brings the songs to life; opener is the much debated Closet – it’s about insecurity, get over it! – becoming a living thing away from the more antiseptic confines of the studio. The track Paroxysm starts life as a very odd take on blues and morphs into an avant mini operetta; very strange indeed! It emerges from these live videos that acoustic guitarist and singer Roman Suslov is the focal point. Choosing to remain seated for most of the time, he plays his acoustic as if it were an electric, which rather begs the obvious question. I can imagine him busking, so maybe there’s the answer. Roman has a strong voice; his well enunciated baritone would leave no doubt as to what he is singing; if you understand Russian, that is! At over two hours, the DVD is a more than adequate bonus to a strange album. Sadly I cannot see Geranium having much appeal outside its home territory for it has a hermetically sealed quality about it that makes it hard for outsiders to find a way in. The way Vezhlivy Otkaz use their native language and musical roots and combine them with jazz stylings reminds me of Deutschrockers Floh De Colgne, with whom I had similar problems on the approachability front. Being a big D-Rock fan I devoured most of what I could find back in the day, and Floh De Cologne were one band who fell by the wayside, and I can see Vezhlivy Otkaz suffering a similar fate. One for the chin-strokers! Note: These track titles are the English translations as provided on the CD cover.